Season’s Greetings to all Clients, former clients and contacts. 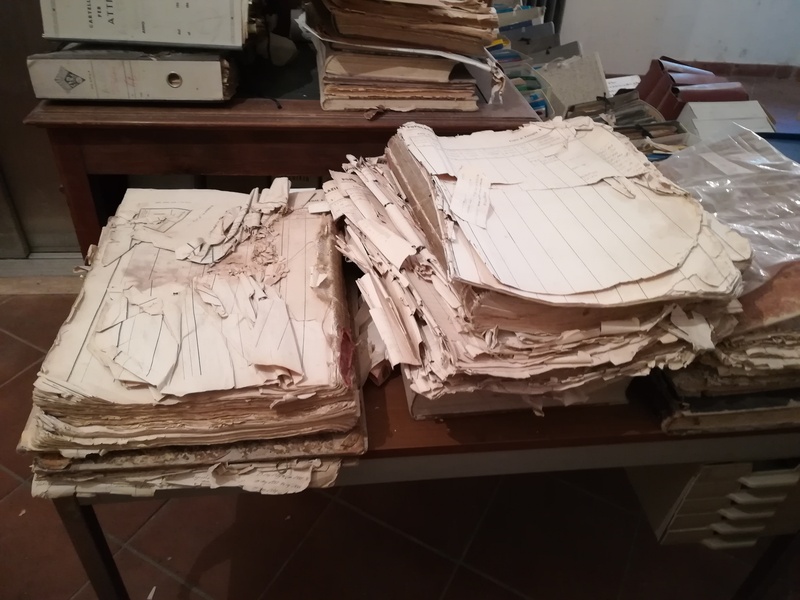 This will be an exciting year for Italian genealogy researchers as Family Search and the Italian Government continue to digitize and upload civil records to the internet for all to search. Both are collaborating to create a searchable database of names to make it easier for you to search your family. There are still many gaps, however, which is where Angel Research comes into play, assisting you to jump the gaps, and interpret the records you already have. Angel Research is pleased to announce that it is now offering a digitizing service for both parishes and towns whose records will not be digitized by the Mormon Church or the Italian Government. This service is provided free to the Comune or Parish and is paid in part, by the donations clients make when a research project is completed. While these records will never be made available to the general public (except as individual documents required by our clients as part of the search their research) as per our agreement with the Parish or Comune it does mean that these precious documents will now be preserved. Comune records will not include birth, marriage or death records but rather those unique anagrafical records that are held only in the Comune archives. This year’s restoration project is for the Parishes of Supino where we will restore 3 books thanks to our clients generosity. This year Angel Research completed 82 project stages in 44 communities for a total of 52 clients. A significant increase over last year thanks to Irene, Gian Mariano and Rita. Without their help I would never have been able to handle this kind of volume of requests. Thank you from all of us for letting us assist with your family research. We were privileged to work with John on his visit to Sulmona, with Mike in Ceccano and had a really fun trip with Cindy in Luco dei Marsi and Collelongo where we met relatives and walked the streets of their ancestors. Rose and her siblings were treated to a visit to a Roman Terme on their visit to their ancestral village of Supino. Not to mention a traditional Italian midday meal. Citizenship certificate requests are on the rise and we were able to solve a couple of sticky issues although one still remains outstanding. Brick walls are continuing to come down and we are now offering a special rate to make an analysis of your research and provide suggestions on what to do next without committing to using our services. I also have contacts in many other parts of Italy that I can refer you to if necessary for on-site research. Record sourcing is becoming the norm for those who are putting together a family tree and in the past I have not provided full source information for your records. Most were easily identifiable as they either came from the Comune, the parish church or State Archives. Now that these lines are becoming blurred we are now providing accurate source information, and where necessary also the repository. If we have done research for you in the past and you need accurate addresses or parish information please let me know and we will provide this for you, free of charge. Ann, first of all, thank you so much for all the records you have provided for me last year which have been invaluable in updating my family tree. Thank you also for your patience and time in answering the many questions I have asked over that time. It’s good news that Familysearch will be digitising more records this year but I (and many others I suspect) would like to know which towns these records will cover and whether they will be covering more years in those towns whose records end at about 1865. I have asked Familysearch about this but they seem unable to give an answer – I would have thought they would have a list of towns they are working on. It would also be useful to know why a small number of their Italian civil registration records are available to view at home and others must be accessed at a Family History Centre. For Atina birth records are shown as being available up to 1929 but the birth records between 1915 and 1929 are not showing as being digitised, althought they must have been available before on microfilm, so it can’t be a question of privacy rules. Your questions are good ones but the answers are frustrating. I have written a separate blog for others to read.